It’s that time of year again! No, not Halloween (though what a fun holiday, right? ), but all of October is National Cybersecurity Awareness Month (NCSAM). 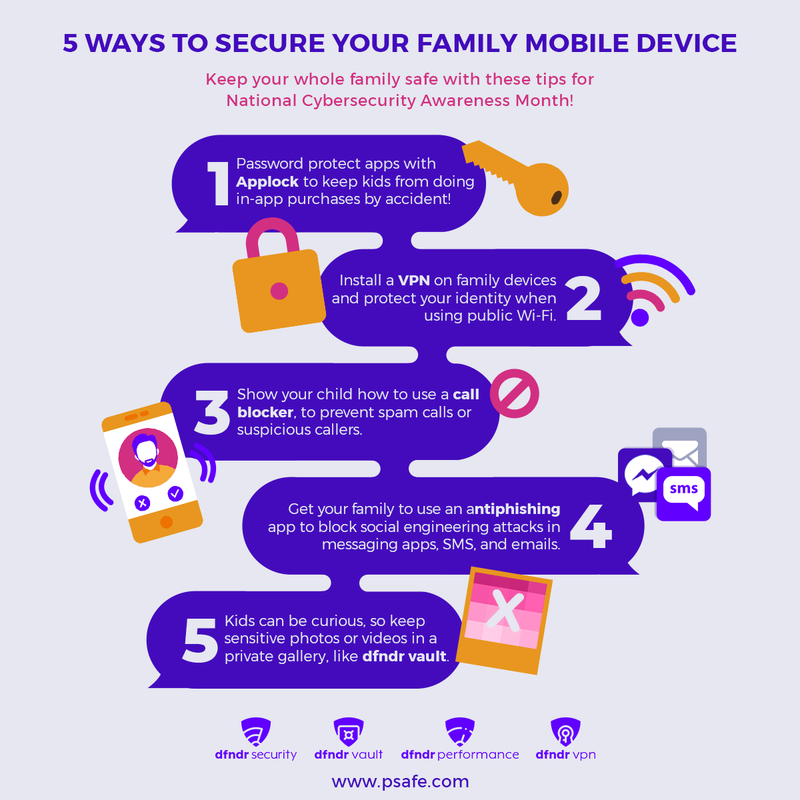 Join PSafe and the National Cyber Security Alliance as we share important safety tips that your whole family can easily follow. Remaining protected online begins in the home, especially educating your children on guidelines when browsing or using social media. Start with this infographic full of practical security tips. Click the image to download and share with your loved ones, especially your kids! According to a Pew study, 95% of teens have access to a smartphone and because this device is used daily it contains private data that’s very vulnerable to snoops or hackers. These dangers range from social engineering attacks, malware or viruses, to extorting personal information or photos from kids or teens. * Ordering pizza and sodas and having a family tech talk one night. * Installing an all-in-one security and performance app like dfndr security. * Holding a cybersecurity talk at your child’s school and creating educational, yet fun activities for the students to do. * Getting together with other parents and launching a community event for NCSAM. Join the fight on social media as well. 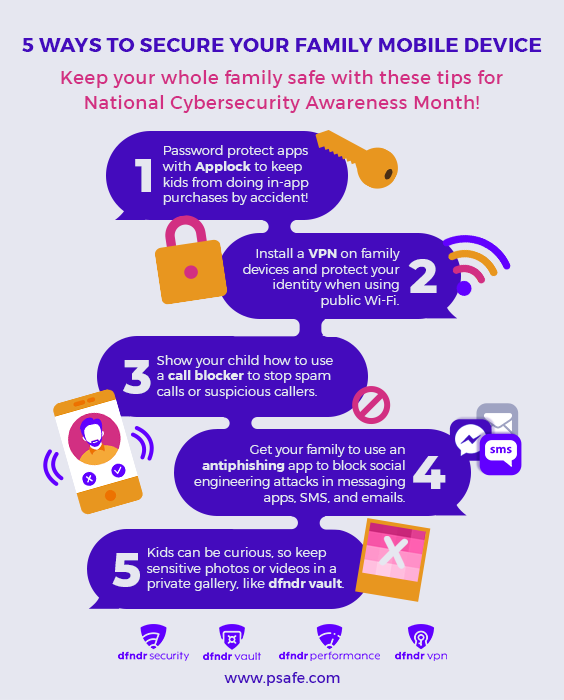 Use the hashtag #CyberAware on your posts and be sure to follow our Facebook and Twitter pages for more tips and updates. Together we can make the internet secure for everyone!